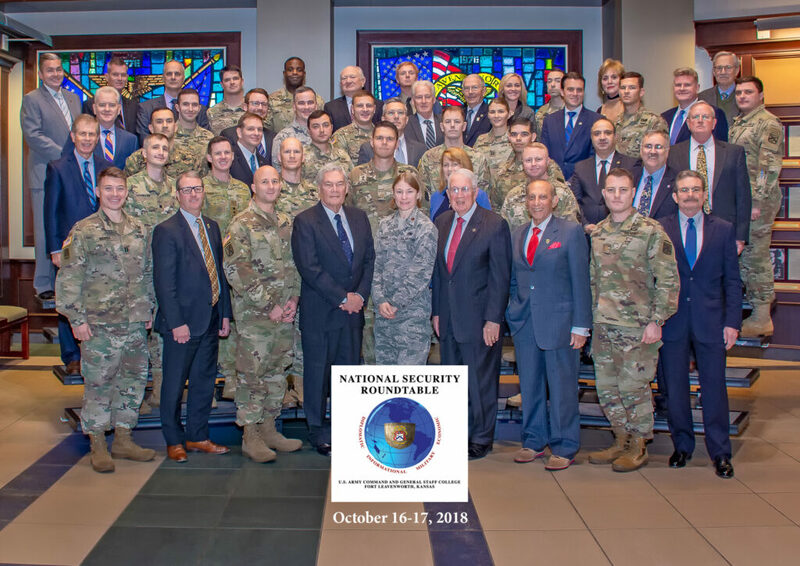 The U.S. Army Command and General Staff College’s Department of Joint, Interagency and Multinational Operations (DJIMO) and the CGSC Foundation cohosted a National Security Roundtable program Oct. 16-17, 2018 at the Lewis and Clark Center on Fort Leavenworth, Kansas. The focus of this program was on the relationships and issues with China and India. On the first day of the program, Foundation CEO Doug Tystad and Combined Arms Center Deputy Commanding General Brig. Gen. Troy Galloway provided welcoming remarks to the 16 civilian guests for the program. Following those remarks Gen. Robert Brown, commanding general of U.S. Army- Pacific, provided a special presentation via video teleconference from his headquarters in Hawaii. On day two of the program, members of the DJIMO faculty along with one representative from the Department of Military History, presented two panel discussions, one each on China and India. Tystad also provided the group with a brief overview about the CGSC Foundation and Mr. Jeff LaMoe, director of the Army University Support Staff, provided the group with an overview of CGSC history and the Army’s professional education programs with special emphasis on the College. The attendees also had the opportunity to visit regular classroom work with their student escorts to get a feel for the CGSC curriculum and instruction approaches. Upon completion of the program Foundation Chair Emeritus Lt. Gen. (Ret.) John Miller and Col. Scott Green, director of CGSC’s Department of Tactics, presented each of the attendees with a group photo and completion certificate. 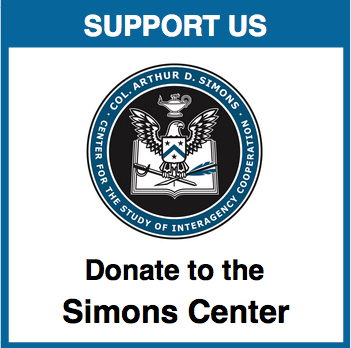 The CGSC Foundation would like to thank the panel members, the student escorts and especially Lt. Col. John Turner from DJIMO who ran point in coordinating the details of this program.